Never before have there been so many single adults! The odds are in your favor for finding and falling for a fabulous woman. Discover how to easily connect with attractive women, get their number and set up dates. Finding the right woman can be a fun adventure resulting in lasting love, if you know the right steps to take. Working with a dating expert will make all the difference in putting you in the driver’s seat regarding your love life. What If Dating Could Be Easier? If you had access to a savvy Dating Coach who understands what it takes to win a woman’s heart – that give you a big advantage! When you need to get your taxes done, you ask an accountant. When you need your vehicle tuned up, you hire a mechanic. Today, when singles are back in the market for a romantic partner, they jump online or the apps without learning what works. This wastes your time and money. Who has time to figure out how dating works today or risk making all those grim mistakes that are so avoidable? A little knowledge goes a long way in dating. Why should some guys have all the luck and not you? Truth is, it’s not really about luck – it’s about “know how.” That’s why working with an expert like me will put you on the right track. Ronnie really set me straight. I had been married for more than 25 years, so what did I know about dating? 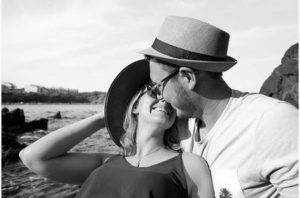 She helped me turn around a few flaws in my dating strategy that have made an incredible difference. Now, I can relax more and be myself, which makes it a lot easier to approach women with confidence and hold their attention. I’m single again after 13 years of being married. Even though it’s embarrassing to admit, I felt unsure about how to ask a woman out, how to start a conversation and how to let her know I’m interested. Ronnie made it SO easy. By following her advise, I have been getting dates with some great women and am feeling far more confident. Don’t waste time floundering around like I did when you can call an expert like Ronnie. Dating at 53 is a lot different than when I was young. Ronnie has cleared up my current dating problems – things I had found very confusing. Now I get more positive responses from women, understand what works best when meeting someone new, and am more sure of myself regarding what I really want and don’t want in a partner. Ronnie knows the dating process inside and out! Jump start or accelerate your search to find love with essential strategies to meet attractive women and get second dates. Learn the ins and outs of online dating and the apps, plus vital do’s and don’ts, so you’ll feel completely prepared and on your game. With this program you’ll gain access to keen insights and methods that work, plus get all your questions answered along the way by an expert who knows what’s up. Call Ronnie 203-877-3777 now to get on the road to finding the love you want today! Does your online profile stand out or get lost in a sea of other men? Most write-ups sound almost exactly the same, so how can you get any attention? Work with Ronnie – she’s written hundreds of profiles, has been a dating coach for 15 years, and worked as a professional writer for 15 as well. Ronnie will write a profile that showcases your personality, captivates women, and increases responses. Plus, she’ll review your photos to ensure you avoid the common mistake men make that ruin their chances from the start. The Digital Dating Makeover includes a one-hour phone session to write your profile and four private coaching sessions to get the essential strategies you need to find a desirable woman to your enjoy your life with. Don’t wait another minute to find the woman you want. Pick up the phone and give Ronnie a call right now. 203-877-3777 She can clear up many mysteries that may be holding you back and coach you to dating success. Don’t Delay. The only thing you have to lose is time without a great woman to share it with.